Carnage Tyrant is an important card, a pillar of the entire Standard metagame. When this format debuted, the big Dinosaur was largely a mirror threat, a long-term answer to an opposing Golgari deck. 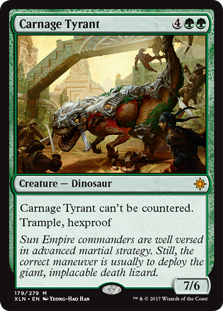 You would land it, play Find // Finality to clear any non-Dinosaur creatures from the battlefield, finish the game with Carnage Tyrant. 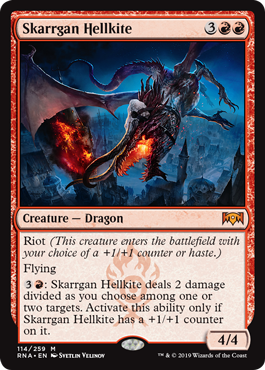 But today, a renaissance of Carnage Tyrant is largely driven by the success of Jeskai. You see, Carnage Tyrant is as much as a three-of (alongside three copies of Vivien Reid) in some versions. 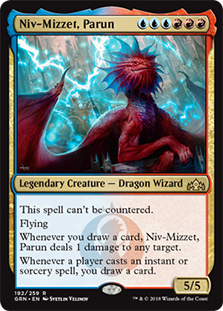 Reid is there to kill Niv-Mizzet, Parun without triggering it; the Tyrant is for the opponent’s face. Carnage Tyrant is one of the best cards against Jeskai! 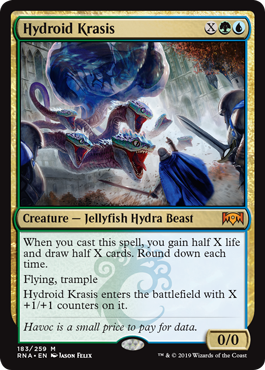 The irony is… Jeskai has several cards that can deal with it. Cleansing Nova and Settle the Wreckage are both efficient answers to multiple creatures (depending on what they’re doing). But the big weapon is Star of Extinction! The Star can deal 20 damage to any number of theoretically hexproof creatures, and take all the Planeswalkers with both of them! The Eldest Reborn can theoretically help against Carnage Tyrant. If you’re a black deck of some type, you will have to take care of all its friends first. Cards like Ritual of Soot can help with that; then The Eldest Reborn can show hexproof where it’s at. Subtly, if you’re a discard deck with Disinformation Campaign or Thought Erasure, The Eldest Reborn — even if it’s not hitting Carnage Tyrant on turn five — can nab one from the bin [even] later in the game. 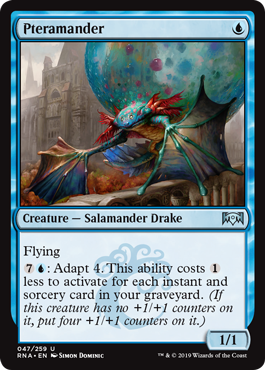 And if you really, really, need to take care of a 7/6 Dinosaur that you can’t counter, and you can’t target later… You might want to consider Unmoored Ego. 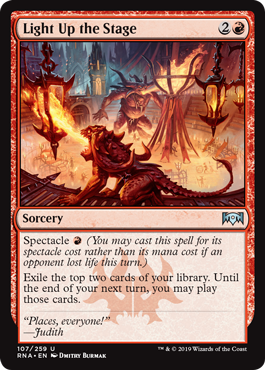 Largely a Grixis card due to its color constraints, Unmoored Ego may offer some defense to other hard-to-answer cards, like Banefire. Adrian Sullivan, one of the true godfathers of Magic strategy, took down Grand Prix Milwaukee last weekend. And in true Adrian style, he did so with a unique deck… This time, a “Jeskai Control” with four copies of Niv-Mizzet, Parun. Dive Down becomes a plausible Magic: The Gathering card – Adrian played only seven creatures! Yet, two copies of Dive Down make sense… Relative to just a couple more Ionizes. Dive Down simply protects Niv-Mizzet when you’re on seven or more mana. 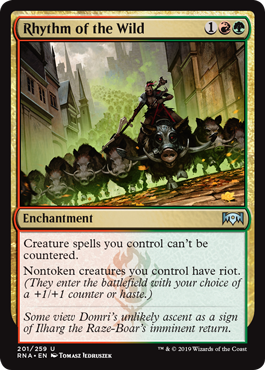 You’re getting paid on multiple fronts, then hopefully untap with Niv-Mizzet in play. Adrian’s deck plays a truly elegant mana base – Sullivan actually went down on lands relative to some other Jeskai decks… But it made more sense. There is not a single basic Plains. Why? Plains doesn’t cast Niv-Mizzet. Adrian still needed white for Teferi, Hero of Dominaria or the odd Settle the Wreckage, but had the discipline to bias his mana base in favor of his unique creature decision. Other Jeskai Decks quake in fear of main-deck Niv-Mizzet – Most of Adrian’s cards actually line up worse, card-for-card against other Jeskai decks. He can plausibly lose a lot of one-for-one battles. Unfortunately for the opponent, Adrian could win only one fight (say, over Niv-Mizzet, who can’t be countered) and with it, the game. We recently saw Elis Kassis play Azor’s Gateway to go alongside Expansion // Explosion and Banefire. Adrian did something similar… He just played Treasure Map in that four-of slot. Treasure Map is less powerful for casting x-spells than Azor’s Gateway, but much more reliable. For Azor’s Gateway, you need to go to the well five times; not only that, but you have to hit five times. Conversely, Treasure Map will flip with three activations, every time. The potential card advantage of Treasure Map lets it take up the Chemister’s Insight slot, but going much faster. Big congrats to Adrian and his Jeskai deck. Michael and Patrick take a nice long look at that deck, but also hit on the other main archetypes in Standard, including innovations for Golgari, Grixis, and Selesnya Tokens! Boros Aggro took a whopping six of the Top 8 spots at Pro Tour Guilds of Ravnica. Basic Mountain: Boros Aggro? Boros TOKENS! PT Champion Jeremy Dezani showed us one of the new styles of Boros Aggro. Relative to the other decks in Top 8, this “redder” r-w deck had many points of differentiation when compared with the “whiter” or even mono-white builds. Chief among this would be a missing Benalish Marshall. Benalish Marshall is very good… Unless you are playing lands that don’t tap for white. Dezani played a whopping four basic Mountains! These Mountains helped to support a couple of gold cards (two Boros Challengers, and two copies of Aurelia, Expmplar of Justice), but more importantly, four copies of Goblin Instigator. Instigator is thematically appropriate for such a tokens-centric deck list. Jeremy played both Hunted Witness and Heroic Reinforcements; neither is an automatic four-of in Boros Aggro. One of the most unique takes on Boros was played by Luis Scott-Vargas. Luis and team “splashed” Ajani’s Pridemate into their White Weenie deck. This card starts off with a little bit of life gain with Healer’s Hawk. Adding Leonin Vanguard gives the Pridemate plenty of things use to grow Ajani’s Pridemate. The Pridement itslef can play a little bit of Tarmogoyf; it only costs two mana, but it can pack quite the punch. Given the limited spot removal of some of these white aggro decks, an Ajani’s Pridemate with too many +1/+1 counters is just going to kill you. 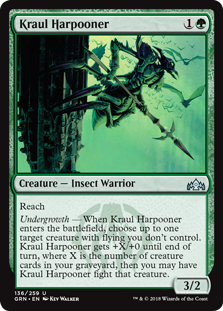 One card you might have espied in the PT Guilds of Ravnica Top 8 is Rustwing Falcon. If you think people are going to play Healer’s Hawk — and all the Boros Aggro decks are playing between 2 and 4 copies — Rustwing Falcon rules the skies. Goblin Chainwhirler. The success of these White Weenie-type decks is largely predicated on people just not playing Mono-Red, and therefore being able to ignore its indiscriminate slaughter of x/1 creatures. Rustwing Falcon, with its two toughness, offers some incidental resistance to Goblin Chainwhirler. The winning list, played by Andrew Elenbogen, went even lower: If 1/2 flyers make you scratch your head… What do you think about 0/3 dinosaurs? While there were six Boros decks in the Top 8, those slots were largely earned on Limited records. Consequently, Standard has lots more viable decks. And boy do we talk about them! This card was previously largely a sideboard card; Patrick himself played it in his R/W Control deck as a foil for Energy triggers. Today, the Honor Guard is an amazing inclusion specifically to stifle the Golgari Midrange deck. Golgari relies heavily on the 187 effects of its creatures. 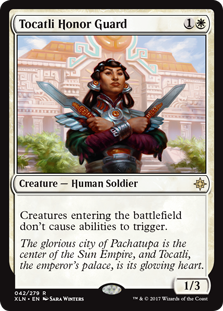 You cant — you actually can’t — remove a Tocatli Honor Guard from play with a Ravenous Chupacabra. Worse yet, Golgari will often he in a situation where it needs its Merfolk Branchwalker and Jadelight Ranger to hit lands. With the Honor Guard in play? If you started out manascrewed, you’re staying manascrewed. Both of the white aggro strategies played the Honor Guard at Grand Prix New Jersey. For Boros, the Honor Guard took the spot of Knight of Grace. 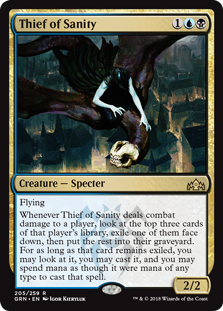 For Selesnya, playing this card means killing its own darlings. Simply, you don’t get to play your own Explore guys. On the other hand, you really do beat up anyone relying on creature-based 187 engines. In addition, it is a 1/3 creature, and therefore, pretty good at blocking the Red Deck. Eli Kassis broke the Jeskai archetype wide open in New Jersey. Instead of Cracking Drake, Eli played Azor’s Gateway. 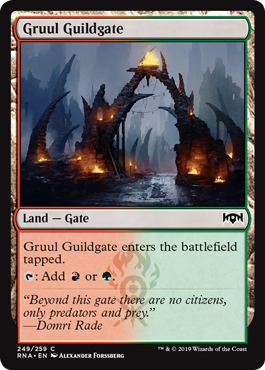 Not only does this give him something to dow with his extra lands (especially given his enormous mana count) it flips consistently for Banefire and Expansion // Explosion. 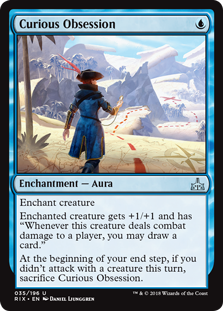 Azor’s Gateway into Sanctum of the Sun represents a meaningful different dimension for the control strategy. Banefire for, say 24 will be uncounterable.